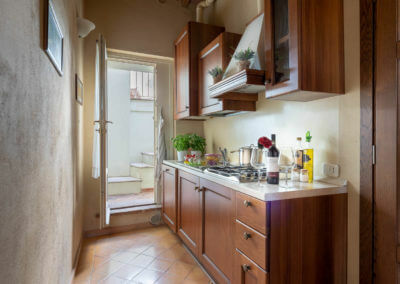 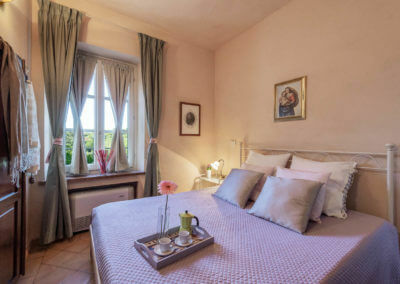 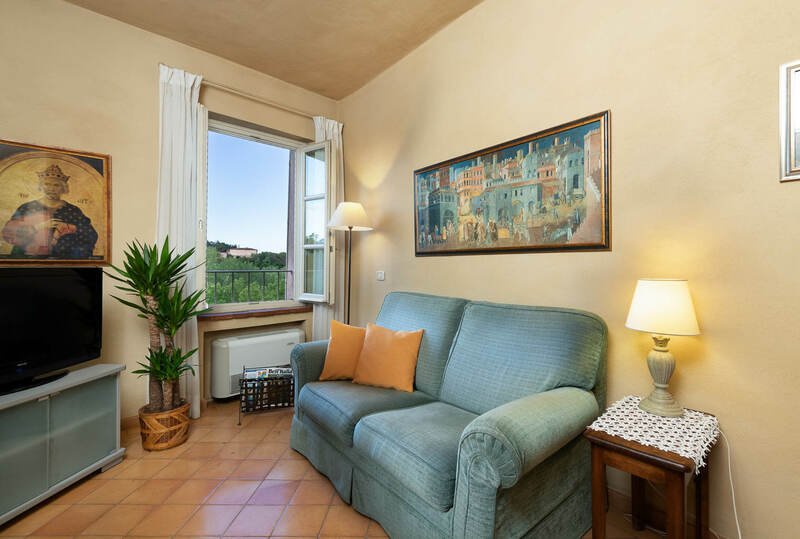 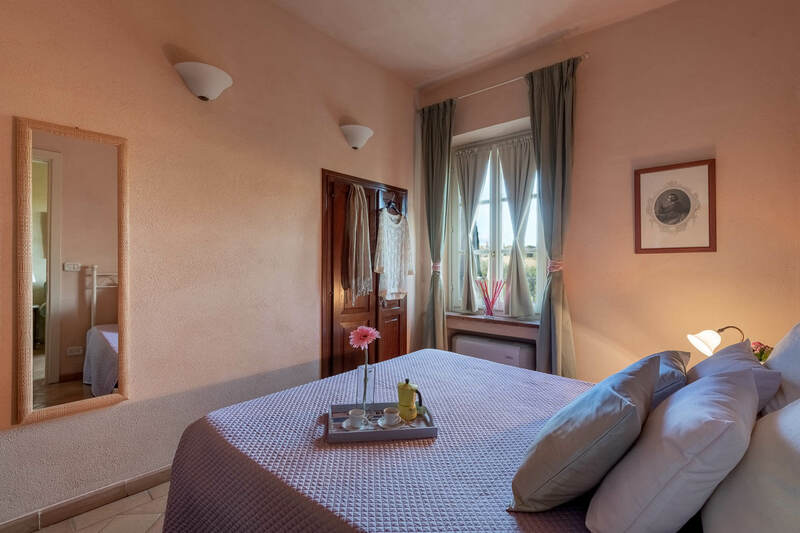 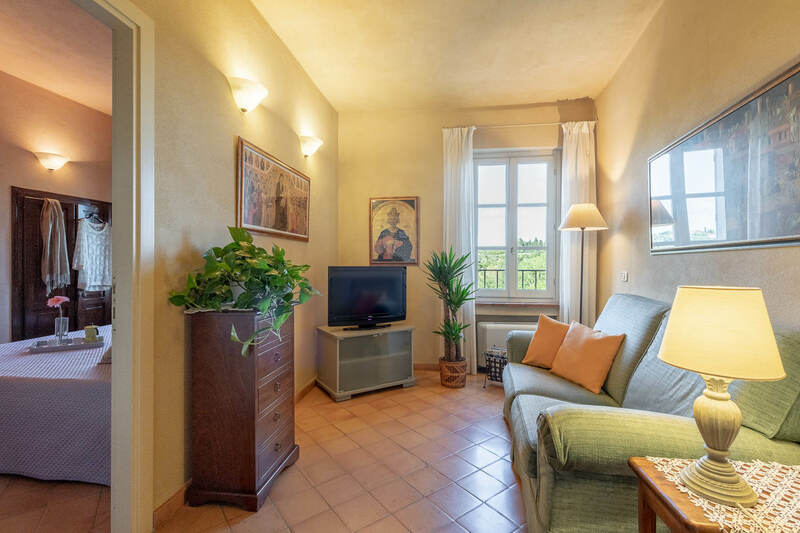 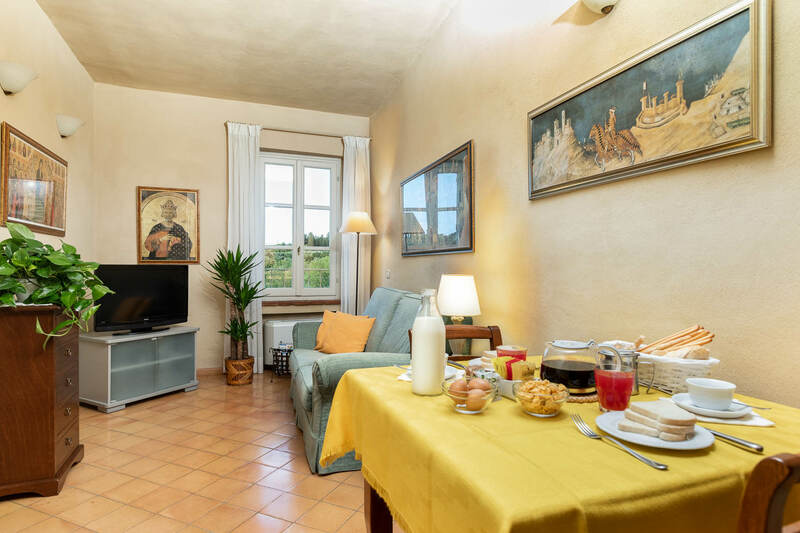 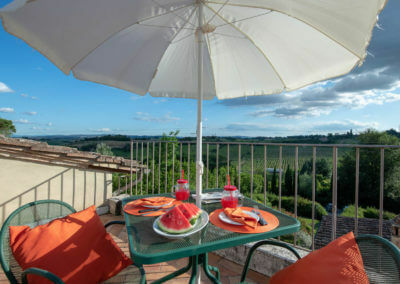 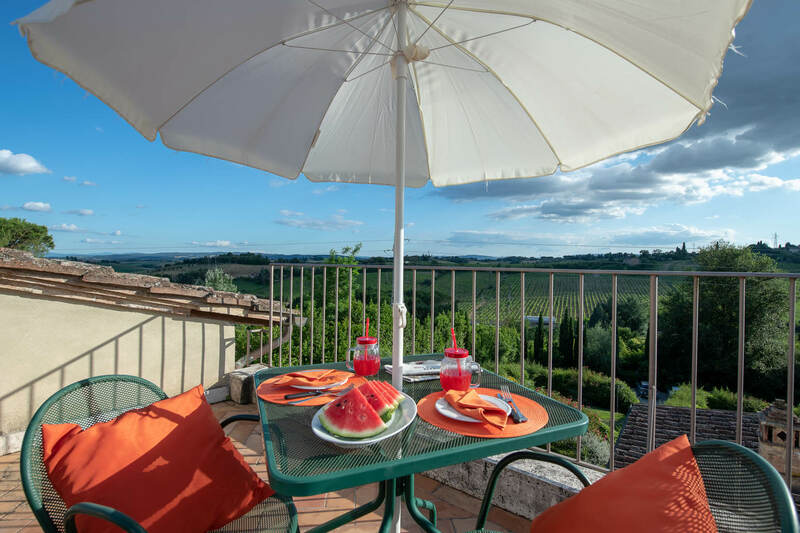 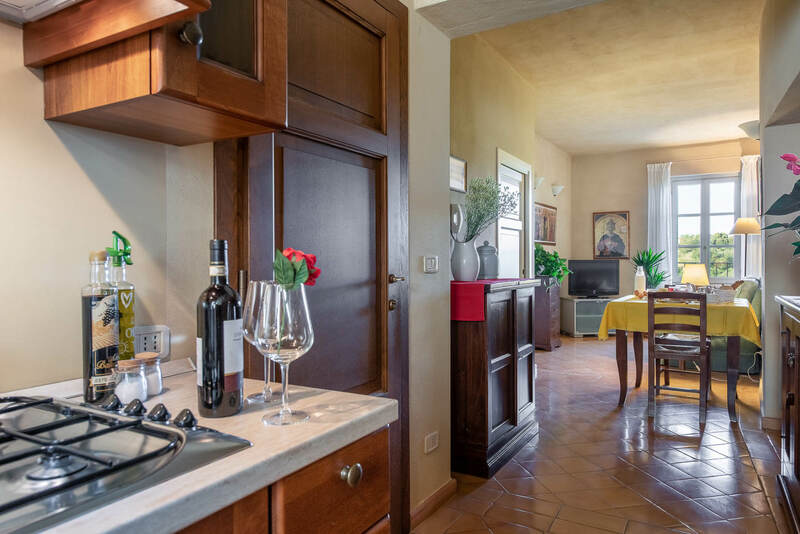 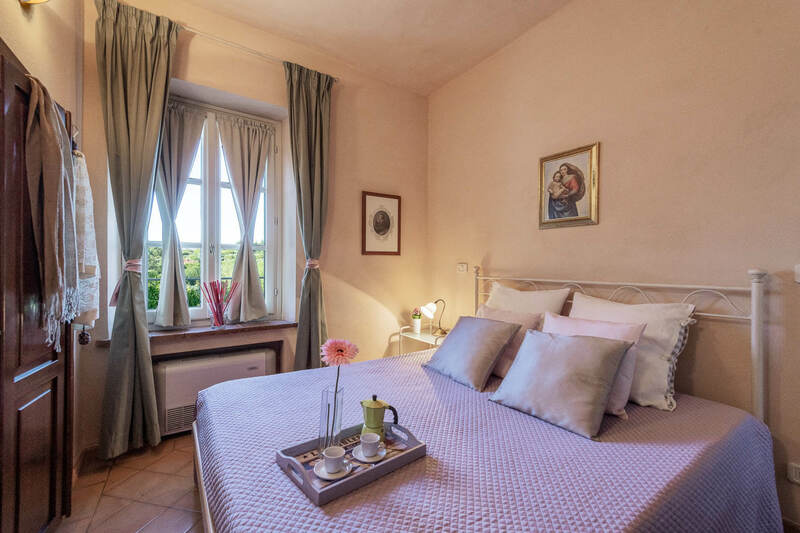 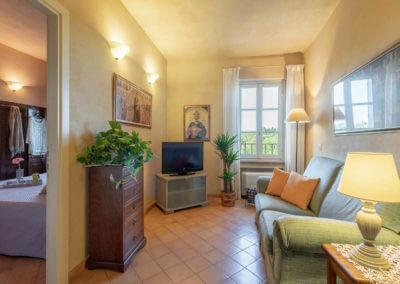 This intimate apartment 45metre remembers the great Medieval artist Duccio di Buoninsegna. Located on 1st floor this apartment is ideal for a couple. 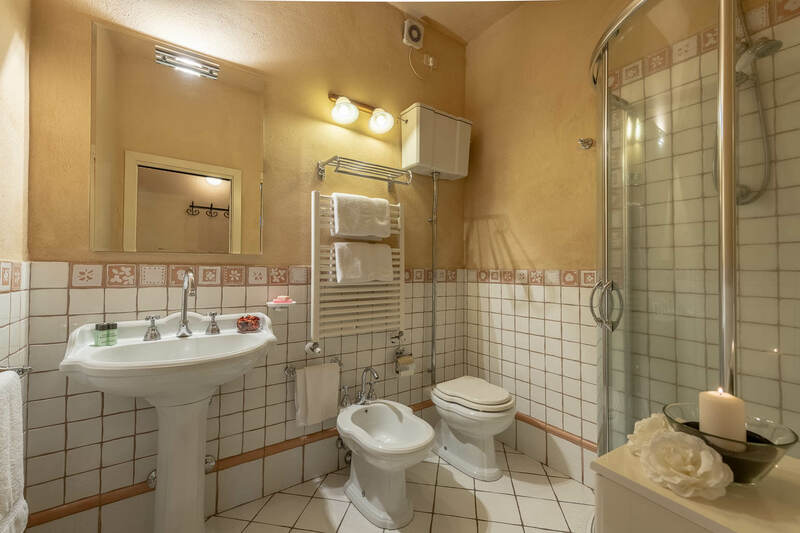 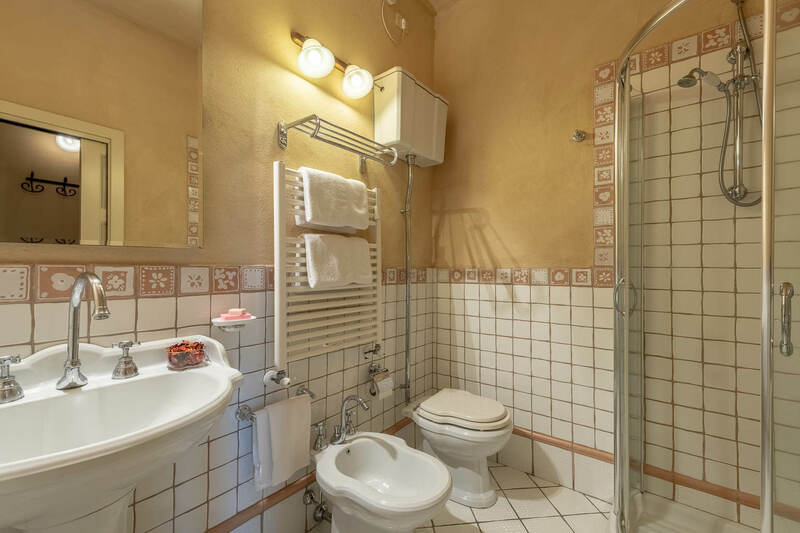 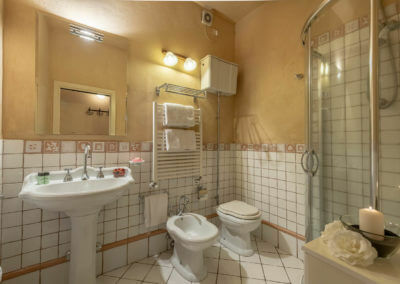 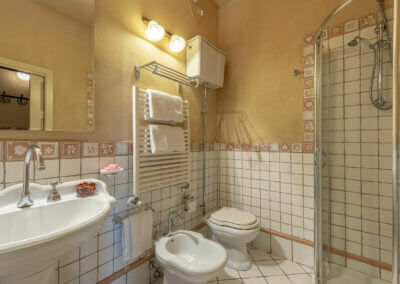 There is a living area, lovely double bedroom, and bathroom with shower. 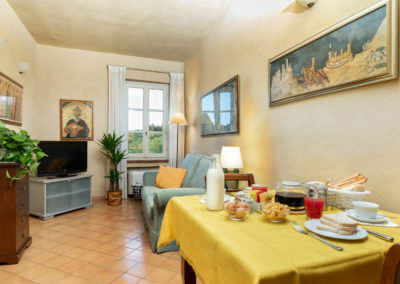 Living area is comprised of sofa, tv, kitchenette and dining table. 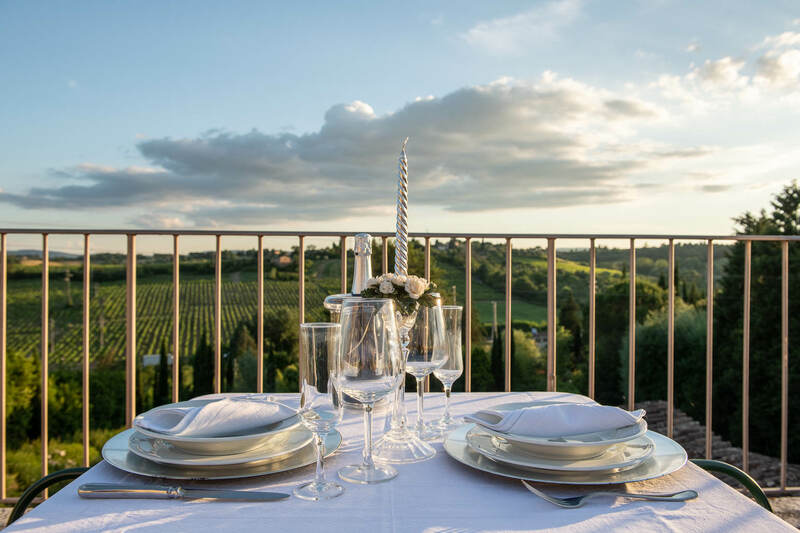 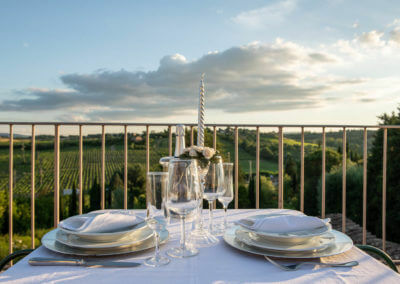 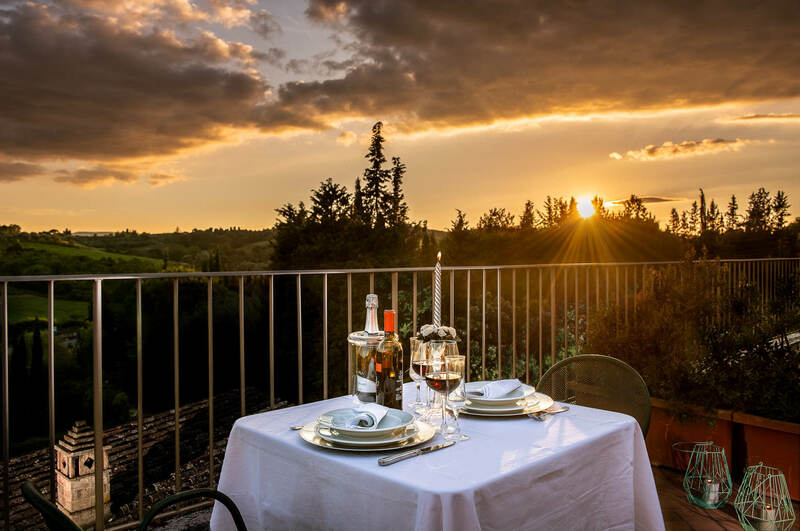 From here opens a panoramic terrace equipped with chaise longues, umbrella, table and chairs where to sunbathe or enjoy a romantic candlelight dinner as the sunsets. 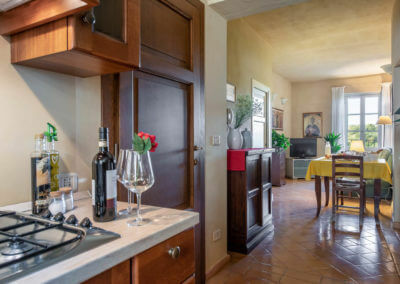 The Welcome Kit on arrival contains the following : two bottles of mineral water, italian coffee for moka, american coffee with filters, a selection of a variety of tea, brown and white sugar, fine and large grain salt, pepper, oil, vinegar, disher washer tablets, sponge and washing-up liquid, kitchen roll, paper napkins, grease proof paper, aluminium foil and plastic film, detergent for washing machine and all necessary household linens.